Whether or not your property has a good drainage system is not an issue on many Californian’s minds due to the ongoing drought. However, you may have heard that the Climate Prediction Center of the National Weather Service is predicting a “Godzilla El Niño” this coming winter. This major onslaught may or may not happen, but you should be prepared for the worst, after all, we are really due for a major rain. One of the first things you should do is check all of the drains that are on your property. 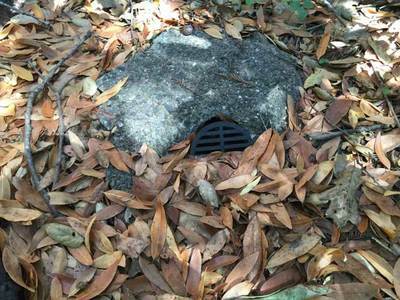 Leaves, dirt and other inorganic matter can easily block a drain that could cause water to back up. Next, take a look at the downspouts coming down from your rain gutters. These downspouts funnel very large amounts of water from your roof. Is there any type of splash block in place for the water to land on and then properly drain off? If there is not, the flow of water could easily erode the ground beneath the downspout causing water to pool up. You may wish to install a grate and catch basin underneath the downspouts that can keep the water away from your home. Our experts can help you determine what would be the best choices for proper drainage. If you have ever noticed water pooling up in parts of your yard, you may need to have this problem looked at by us to see how we could help you make sure there is proper drainage away from your home. If the El Niño is as strong as some suggest, your property could be quickly saturated. One of our irrigation specialists can help you determine the best course of action to prevent this from happening. Other things you should review before the coming deluge are your driveway and patios. If they have drains, make sure they are cleaned out. If there is no existing drainage, be sure that there is someplace for the water to go. Hopefully your driveway slopes down to street level and drainage should not be a problem. Your patios are another thing however. If water pools up, you may need to have channel drains or another type of drain installed to move the water away from your property. If you feel that your yard is not draining properly and you want to be prepared for the rains that we will hopefully get, give us a call.